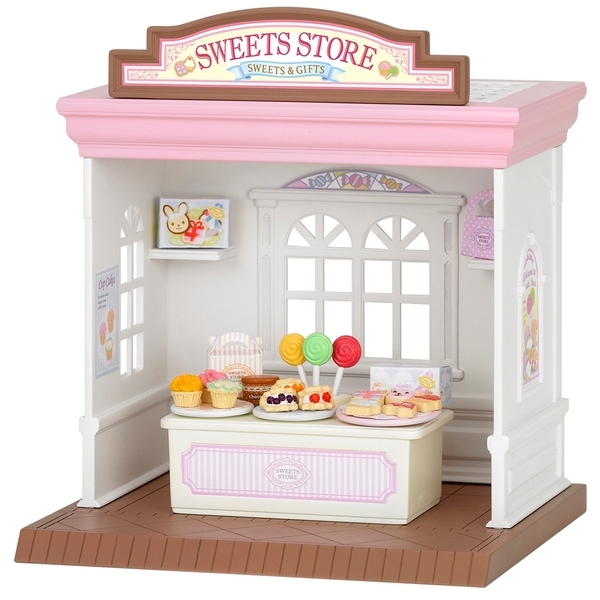 If your Sylvanians have a sweet tooth, then this sweet store will be their dream come true! With everything from bunny shaped cookies to car shaped treats and lollipops, this little shop also contains all the things you need to play shop. As well as the main milky white shop with its beautiful window feature and peardrop pink roof, there’s also an impressive display counter to hold up all those lovely goodies! Make the tots of Sylvania happy with this child-friendly set.